Samsung really went to town with the design of the flagship Galaxy S6. A reflective glass back, a metal frame brushed to within an inch of its life, and a glorious 5-inch display. But the striking looks and the delicate feel come at a price. This is not a rugged phone. (Durability did not factor in the design process.) And if you want to keep those gorgeous looks, you’re going to have to do something to safeguard them. 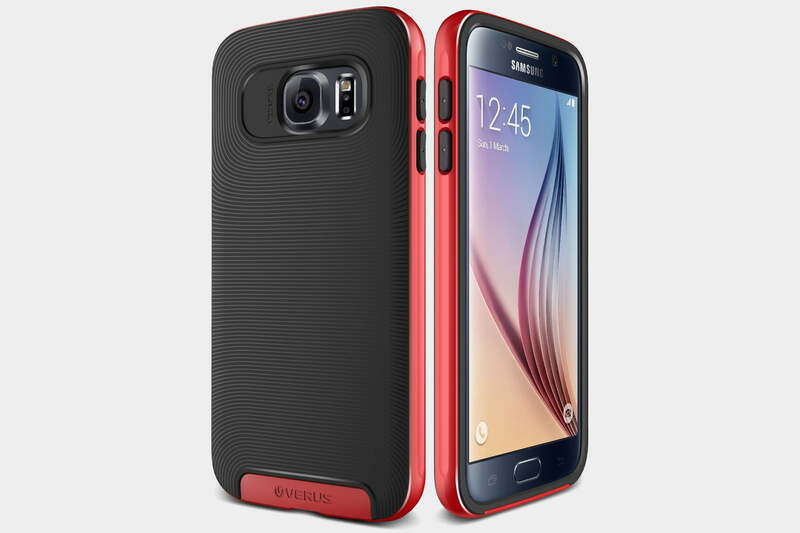 To help, we’ve gathered some of the best Samsung Galaxy S6 cases on the market. No need to worry about a broken Galaxy S6 when you have this case on, because it can survive falls of up to 2 meters onto concrete. The reinforced TPE corners and textured frame are designed to dissipate impact shock and make it easier to grip the phone. There’s a shatter resistant polycarbonate back panel that’s transparent. You can get the bumper surround in black or purple, and there’s also a version with a translucent purple back panel. The only concern with this case is that the back panel might get scratched over time. The Galaxy S6 has battery issues. If you’re sick of running out of juice, then you might want to check out this battery case from Mophie. 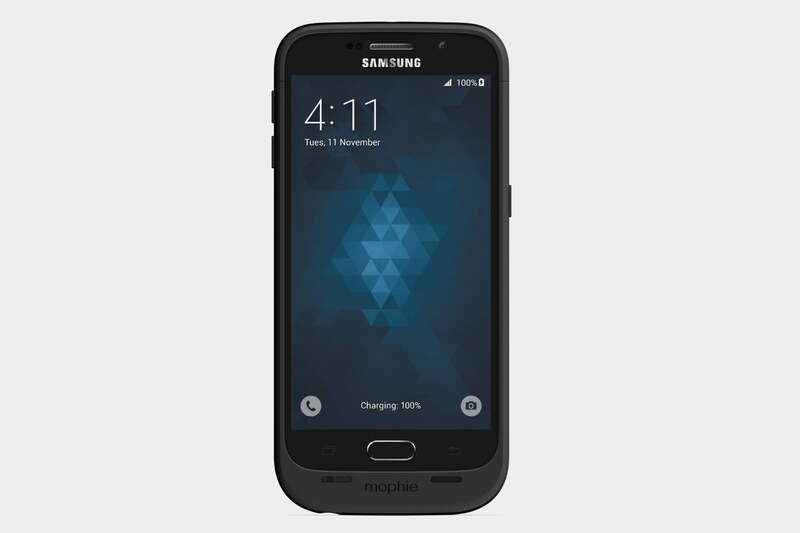 It has a 3,300mAh battery inside, so you can double your Galaxy S6’s battery life. There’s a four LED array on the back to display remaining power, and you can charge the phone with the case on, but it does add some bulk, particularly at the bottom. Mophie includes a headphone adapter, which you’ll need. This case is also protective with cushioning on the edges and corners to absorb the shock of any impact. You can get it in black, white, or gold. You notice the reinforced corners in this case straight away, and they ensure that your Galaxy S6 will survive a fall from up to 6 feet. They also prevent the body or screen of your phone from coming into contact with surfaces. The button covers are well-defined and the cut-outs are precise. This case adds grip, but the rubbery corners can attract lint if you slide it into your pocket. Overall, it’s a good solution for anyone seeking rugged drop protection without spending a lot of money. 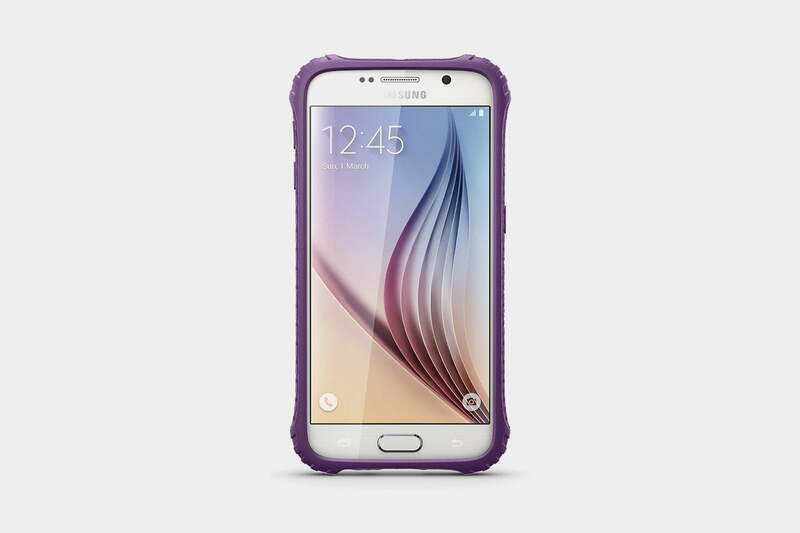 This dual layer design consists of a shock absorbent, textured TPU inner, and a tough polycarbonate bumper in contrasting colors. It’s a snug fit, with precise openings for the ports and camera, and responsive button covers. The raised bezel helps to safeguard your screen. It’s fairly slim and should offer decent protection from bumps. Unfortunately, the textured back doesn’t really add grip because the bumper is smooth. It’s worth a look at the discounted price. 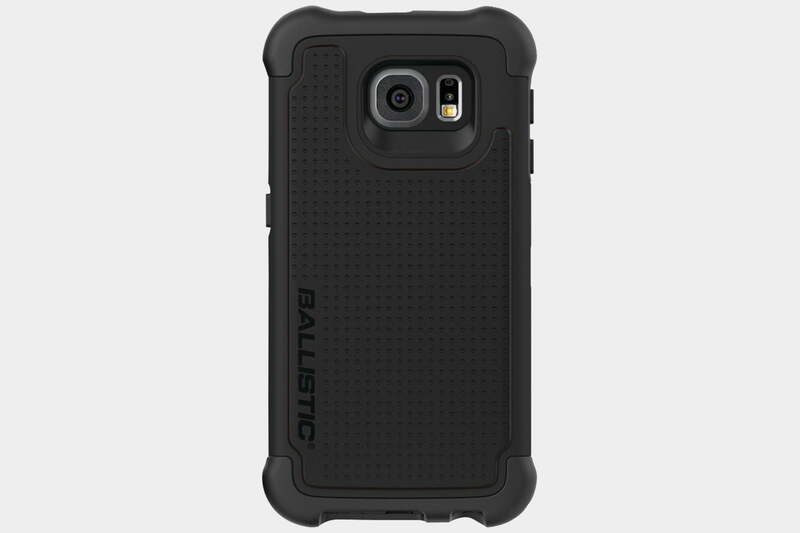 Here’s a simple, cheap TPU case that will provide some basic protection for your Galaxy S6. It’s flexible, so it’s easy to fit, and it’s comfortable to hold, adding a little grip. There are accurate cut-outs for all of your ports, buttons, sensors, and the camera. It’s slightly translucent and comes in a wide variety of colors. 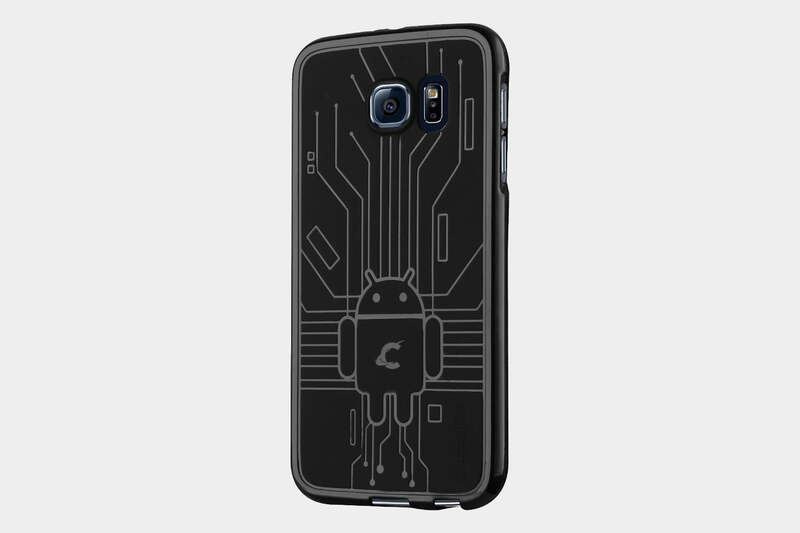 Each case has the Android mascot and a circuit design on the back. There is also a slight lip on the front to help protect the screen of your phone if it should land face down.